Most discussion was about the House of Lords reform following the Queen's Speech last week. However, the government also introduced the Electoral Registration And Administration Bill into Parliament. Amongst other things, the bill intends to introduce individual electoral registration (IER) for elections in England, Wales and Scotland. 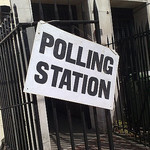 This research is built upon findings from an ongoing project funded by the McDougall Trust and Nuffield Foundation on election administration in the UK. Earlier findings were presented to a House of Commons Select Committee in September last year. It is interesting to note that since then the government has already shifted its position on a number of policy positions from the proposals first introduced in June last year. For example, the 'opt-out', whereby citizens could tick a box and not be included on the register appears to have been dropped. Nick Clegg hinted that this might happen in October last year. The proposed Bill suggests that there will be now be a penalty for those who do not register. Changes to the way the electoral register is compiled does not always capture the public or media's interest. But it has important implications for how many people vote, electoral fraud, whether people perceive electoral institutions to be fair and sometimes who wins elections. There have been some excellent recent blog posts from the like of Ros Baston and others in recent weeks. Let's hope there remains continued public interest in this important, but easily forgotten, issue.